Ideal to quickly pick up random numbers online. 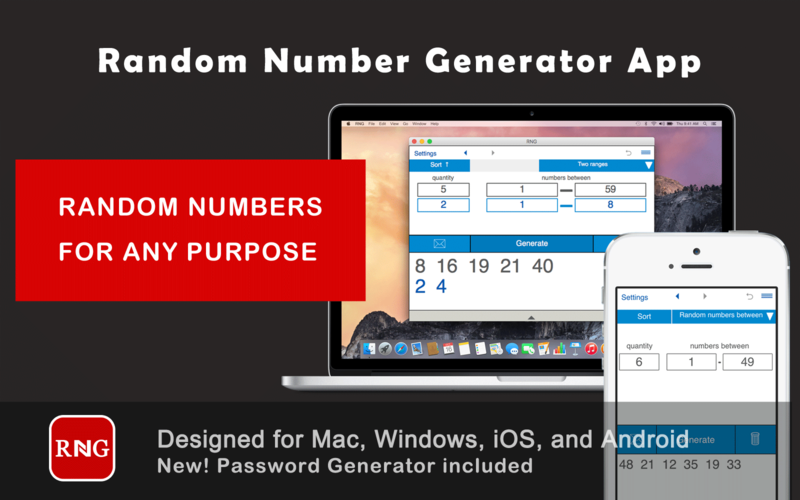 Generate random numbers in a range for lotteries and researches. Pick numbers from a list for drawings, games, competitions. Here, at AVKG.com, we generate lists of random numbers on a daily basis. Every day we generate five random lists and publish them here. Also we generate a random number of the day. The random number of the day is generated from 1 to 1'000'000. And the last one is today's randomly chosen answer Yes or No. • Set up your min and max values in a range. AVKG.com is a free online random numbers service that offers a collection of useful tools for generating random values to anyone on the internet. All generators are simple, free and easy to use. The service was launched in 2018 as an up-to-date version of our popular online appliation Random Number Generator that was initially released in 2010 and operated till 2017. We are really excited to bring this handy tool back as we hope it makes our users lives easier. 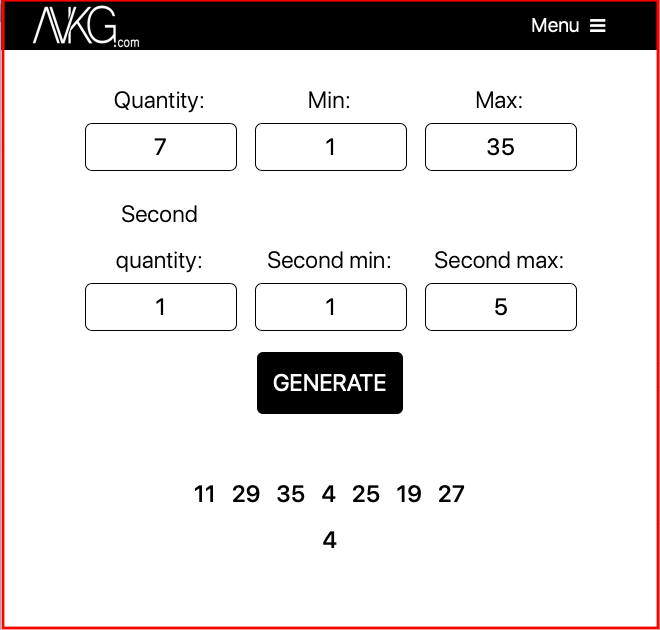 At AVKG.com, we offer a range of generators to fit your needs - a list of generators with preselected parameters, the Random Numbers of the Day generator and the universal random number generator. Help us make our tools even better! 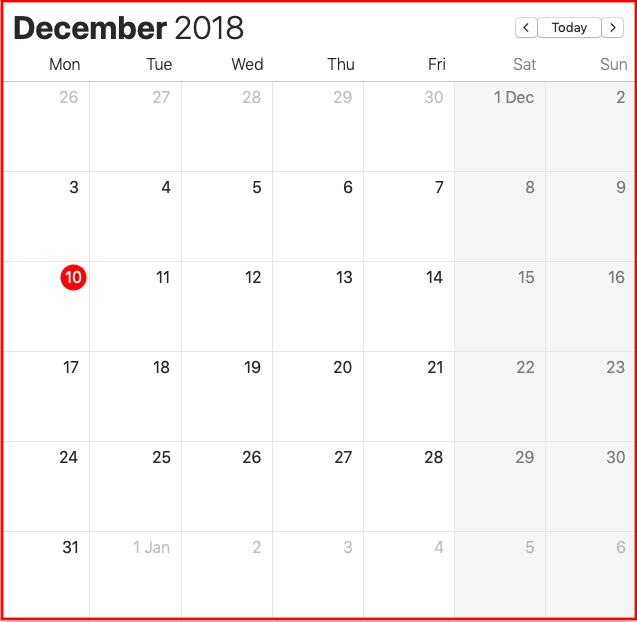 We have a lot of plans for 2019. We will continue improving our current tools and adding new ones to give you the best experience. We love hearing your suggestions and learning about all the great ways you use our services! Send us your ideas about new features. Do you generate random or pseudo-random numbers?